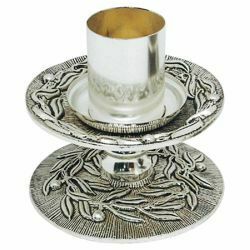 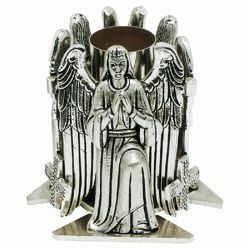 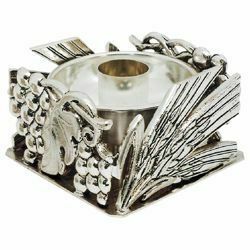 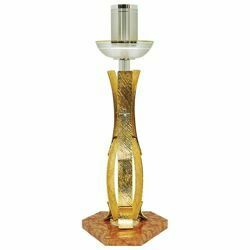 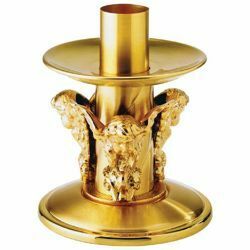 Wide selection of Easter Candle Holders, Chandeliers and Candelabras, Candlesticks and Light Stands: Altar and table candlesticks, in vintage and modern style, small Candlesticks for domestic use and large candle stands for Churches, Votive Chandeliers with one light or more lights, traditional cheap Easter Candle holders with simple decors, made and finished by hand from brass, bronze, gold, and silver, manufactured by italian handcraftsmen specialized in liturgical furnishings. 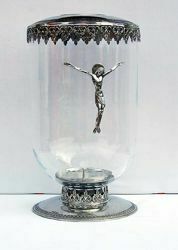 Handmade Illumination for Churches and homes, decorated with sacred symbols such as crosses, Jesus Christ, Angels, Evangelists, Olive tree’s branches and leaves, Pax, Holy Deers at Spring, Grapes and Ears of Corn. 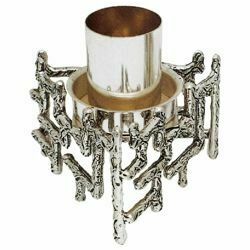 Excellent quality/price ratio and Quality 100% Made in Italy. 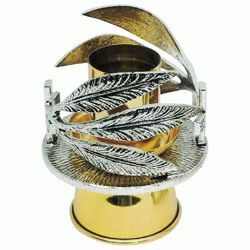 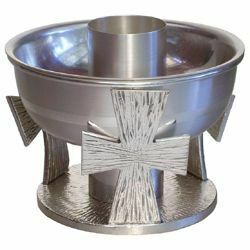 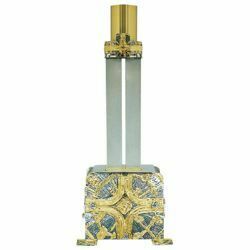 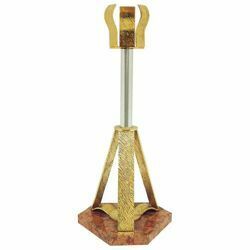 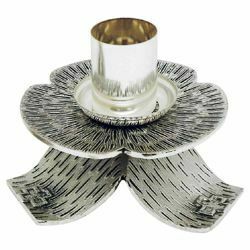 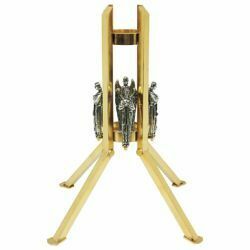 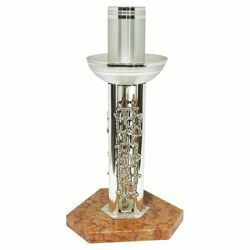 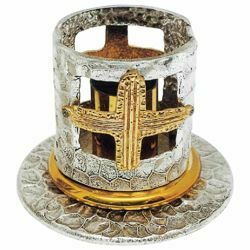 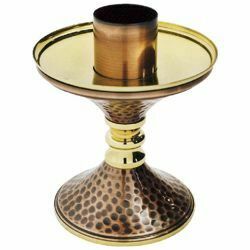 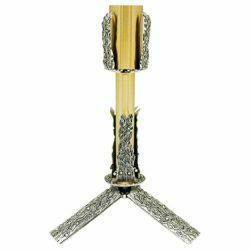 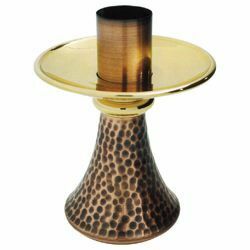 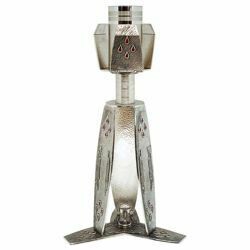 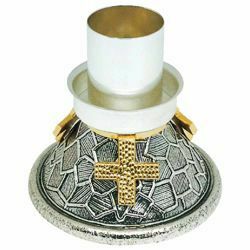 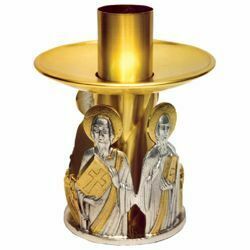 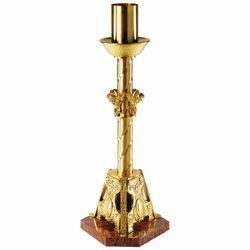 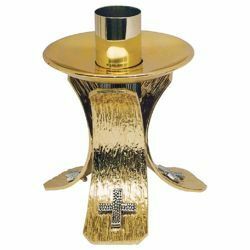 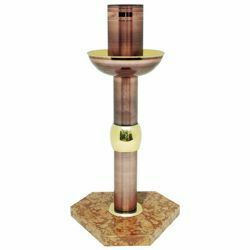 This paschal candle holder is a liturgical furniture for the altar in christian celebrations and is made of bicolor brass. 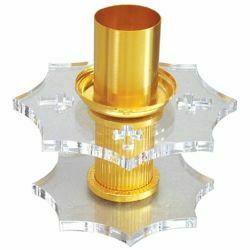 The decoration depicts a gold-plated catholic cross with silver rays of light in the background.